Most, if not all, new cars that are available today come with some sort of in-car display. Whether it be a basic system or one that runs Apple CarPlay or Android Auto, chances are you won’t find a new vehicle without one. But what if you have an older car that didn’t come with that feature, but you’d like to have it? Sure, there are tons of aftermarket systems you can buy that’ll allow you to install these displays into your car, but they all usually cost an arm and a leg. That’s where Pioneer has you covered with the SPH-10BT Smart Sync in-dash receiver. 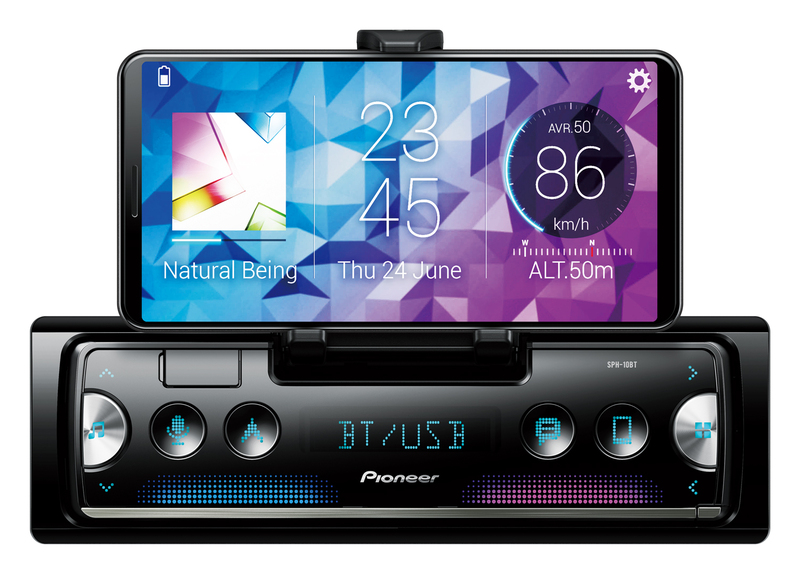 This receiver will allow you to dock your smartphone and turn it into a high-resolution touchscreen display to use in your car. The cradle itself cannot only rotate between vertical and horizontal placement but also retracts into the head unit if you don’t want to use it. The size of the unit itself is universal to fit almost any vehicle, old or new. The SPH-10BT also works with Pioneer’s ND-PS1 rear parking sensors. Once the sensors are installed to the back bumper and connected to the receiver, users will get visual notifications on their phone (in the cradle) as well as audio notifications through the car speakers. I think both of these together will help bring older vehicles more in line with features available on those that are brand new. We still have a little bit to wait on the SPH-10BT, as it’s not out yet. But it will be released in February and retail for about $150. The post Pioneer turns your smartphone into an in-dash car display appeared first on Nerd Reactor.